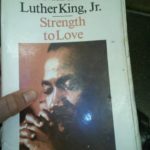 The Martin Luther King murder -- how was it solved? 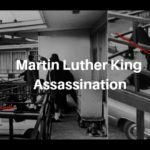 The Martin Luther King murder — how was it solved? 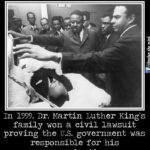 How was Dr. Martin Luther King Jr. killed – how was MLK’s murder solved? 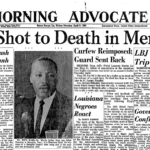 What was the assassination of MLK like, and how was the MLK Jr death assassination case solved in such a brief time period? 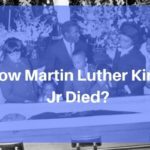 How did they find James Earl Ray, one of the Ten Most Wanted FBI fugitives, who was eventually charged with the murder of Martin Luther King? William Saucier, lead field agent in charge of the FBI’s Birmingham investigation of the assassination, tells how he found the location of James Earl Ray, Dr. King’s court-proven and convicted killer. Without Saucier’s timely actions, the MLK killer would have escaped to Portugal, due to the lack of an extradition treaty, where he would have lived out his life safe from prosecution for the murder. The book tells of Saucier’s FBI career, relating many colorful stories about the FBI and J. Edgar Hoover, which are told in this book for the first time. Also, it details the King assassination, and tells the story of one of the Boys’ involvement in President Kennedy’s assassination – he may have been the infamous “blond man” who picked up the fifth bullet in Dealey Plaza. This “Boy” is the same agent who arrested Kennedy’s killer, Lee Harvey Oswald. This historic and engaging book is full of hilarious and amusing stories of life under the stern and strict but technically ridiculous J. Edgar Hoover’s FBI administration. 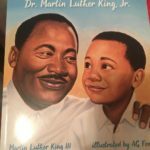 Hoover also made several tapes of supposed “indiscretions” by Dr. King, and new information is brought to light in this book. But the most important story concerns the FBI investigation of the Martin Luther King murder – this had become a federal case. Using methods of the time, the Birmingham, Alabama FBI, known as “the Boys of Birmingham,” located Ray under three other names, swiftly finding his true identity. Saucier in particular is the agent who determined how to go about finding Ray himself, using a method he came up with on his own which involved checking international passports. That’s how Ray was found at London’s Heathrow Airport on June 8, 1968 just before he boarded a plane to Brussels. Thanks to Agent Saucier, whose life story is this book, the evidence led directly to Ray, who was found in London and arrested. Without Saucier’s and the Boys’ capable and professional investigation, it is probable Dr. King’s killer would have gotten completely away with his heinous crime, one of the worst assassinations of the 20th Century. The book ends with Saucier’s retirement and death, and his daughter tells us throughout the book of life in Birmingham, Alabama during the most turbulent and historic era in recent American politics, the Sixties.